Early Friday morning, Warsaw Police arrested a man and woman at Owen’s Supermarket on East Center Street. The man was reported by pharmacy personnel for trying to purchase Sudafed, but thanks to a statewide check system, the purchase was denied. At about 9 a.m., officers were called to the grocery store where they located Jack Daniels, 31, of Warsaw. Daniels admitted to attempting to purchase Sudafed for the purpose of manufacturing methamphetamine. A further check on him located information that he was wanted on a warrant out of Whitley County for failing to return to lawful detention. 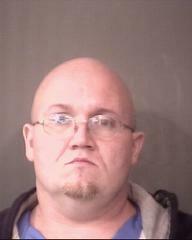 Police say he failed to show up for his court ordered jail sentence in September. A female who was with Daniels, Kristi Cain, 29, also of Warsaw, was also detained and found to be in possession of meth precursors and drug paraphernalia both on her person and in her vehicle. Cain was taken to the Kosciusko County Jail and booked on felony charges of Possession of Chemical Reagents/Precursors with intent to Manufacture Methamphetamine, and Possession of Meth Paraphernalia. She was being held on a $2,000 surety bond. Officers then went to Daniels residence in Green Acres Mobile Home Park and located multiple burnt one-pot meth labs, meth precursors and meth paraphernalia related to the manufacture of methamphetamine. A second adult female at the mobile home was detained and released, but two children were removed from the home by the Indiana Department of Child Services. The Indiana State Police Clandestine team cleaned up the scene. 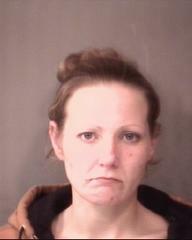 Daniels was transported to the Kosciusko County Jail and held with no bond for Whitley County. He was also charged locally with attempt to commit a felony for the attempted purchase of meth manufacturing precursors. Additional drug charges are probable for Daniels and others. Warsaw Police were assisted in their investigation by Indiana State Police.